What you got on the bench? Wondering what everyone is working on? 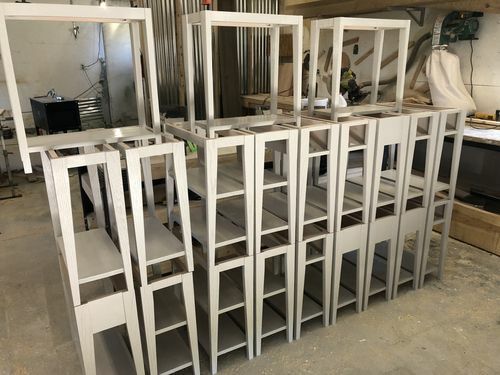 Here is a ridiculous order of 21 chairside tables. Ridiculous because they are all oak and all painted. 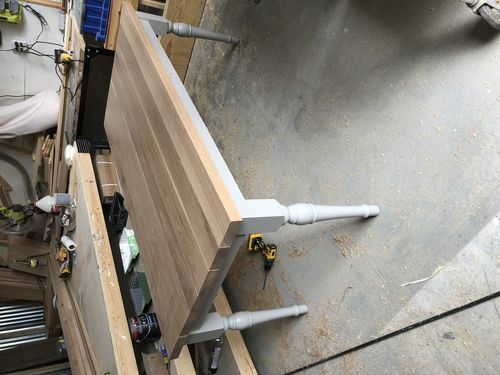 The customer obviously prefers painted furniture and wants them to be strong, otherwise he would specify a cheaper wood. I always have to go back to Nick Offerman’s answer about staining oak (at 39 seconds) – works even better for paint. 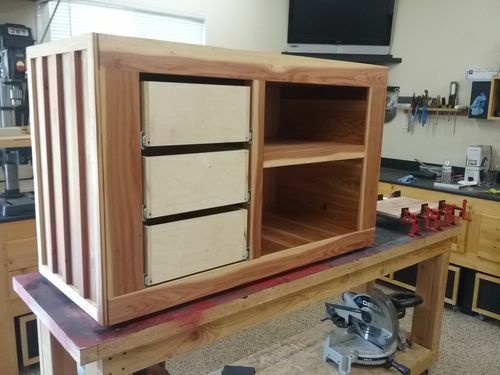 I’m just finishing a quick book shelf for my son. No photo, but it’s a few melamine sheets I picked up from the Borg. My son is young, so it’s nothing to write home about. I’m not even going to edge-band it. Ron, I offer all stain or 2-tone with paint bottom. I get somewhat frustrated when I have to paint oak cause if stains so nice. Lumbering on- I have made those before too. I made the mistake of making them somewhat nice, then watched them go to sh!t with my son putting stickers and candy all over them. I will post an even more ridiculous pic next week when I’m making accents. Make letters out of 3” thick pine. It’s pretty stupid looking when I’m doing it. Pretty cool new dining table. Top is 8/4 rustic white oak. Stain is a very light white wash. 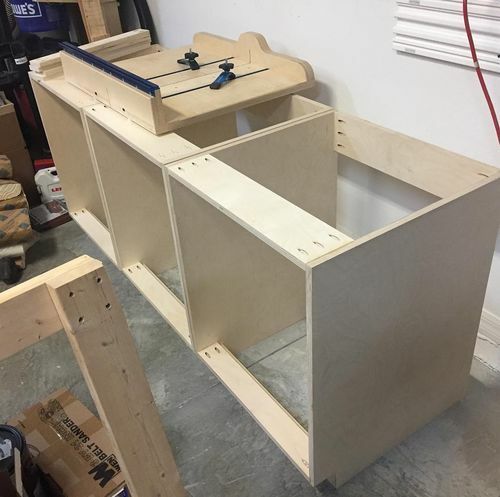 Working on my Miter Saw station. Have 3 of 4 base cabinets completed. All Baltic Birch plywood. I was able to source them for a very reasonable price so basically go big or go home deal. 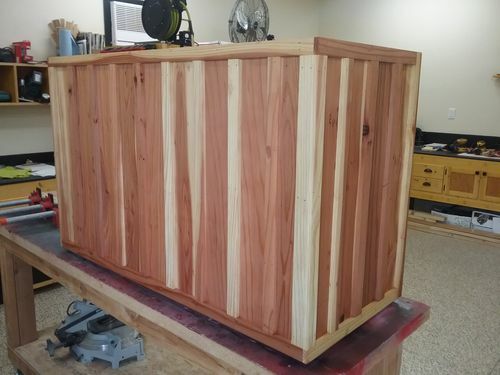 Currently working on a BBQ cart. 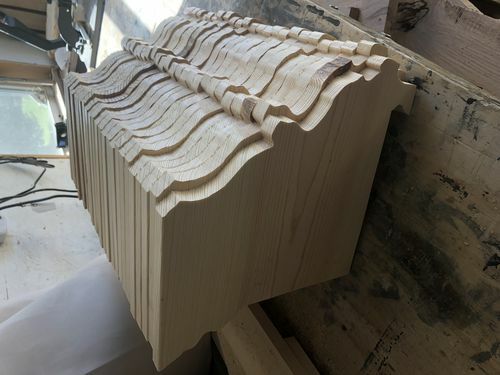 in the process of making plantation shutters for 5 windows using the rockler system,very easy to use jigs and there online program gives you a cut list and all the dimensions for a complete shutter.no pics just a pile of parts now,ill post when done. Hermit, is that for an Egg grill? I have an egg that would look awesome in that! Nice job. It’s not for any grill in particular. I have a couple grills and a large smoker. Its more to store all my utensils, foil pans, foil, thermometers etc. Putting a granite top on it and casters on the bottom. Made of cedar and redwood. 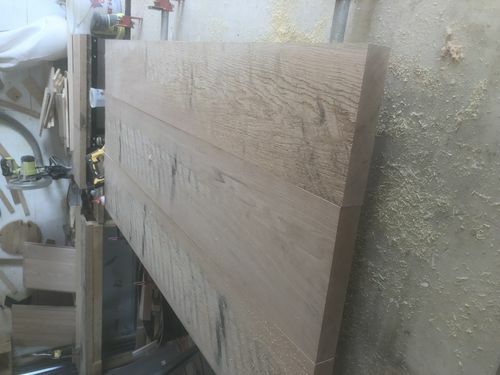 36” wide dining table. Only 3 boards. 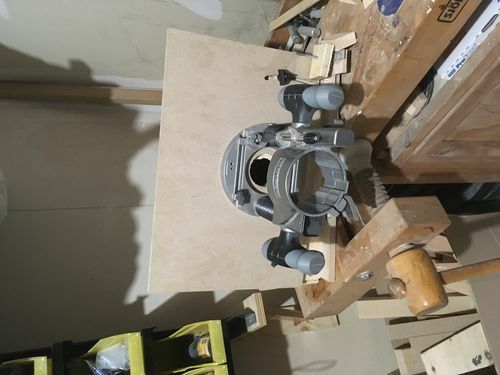 Just finishing up a horizontal router table. 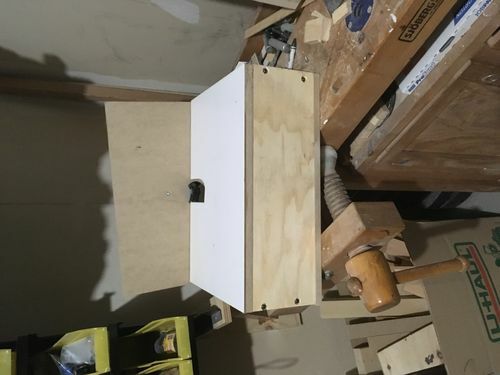 Just finished up a drafting board/ table top design…Nothing fancy, just a nice board to draw up plans / my drafting equipment….No pictures, as it’s not picture-worthy I don’t think….!! But it works, and that’s what counts..! Guess where these are going? Lol. Have a store that sold over a 100 of these this year.